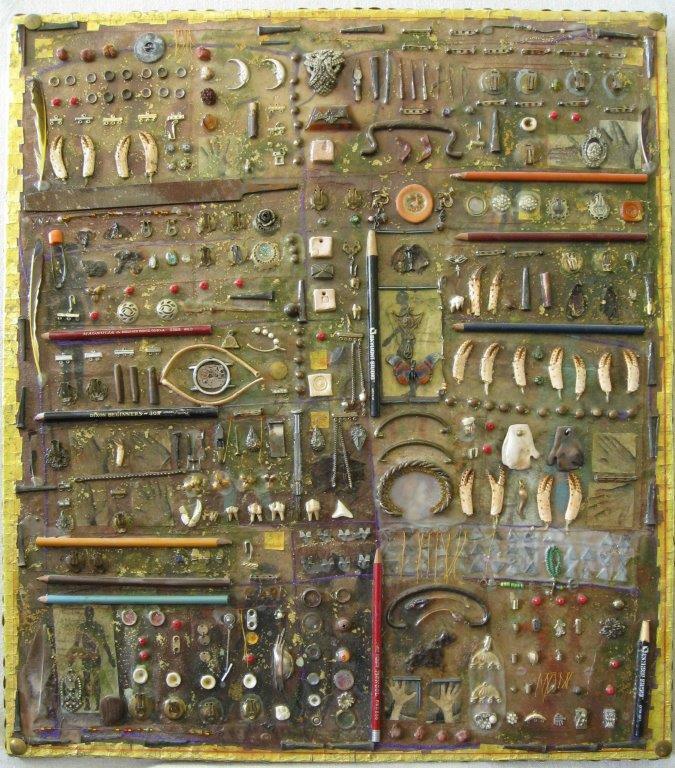 Manya S. Goldstein is a self taught artist currently working with the flotsam and jetsam of abandoned and discarded personal treasures. She uses recycled materials to construct modern artifacts and “bubbe meises”. A dysfunctional potter in a former life, Goldstein traveled up and down the East Coast doing juried art and craft shows. Her work was sold in fine craft galleries throughout the United States. Her art “offers a wry yet tender insight into the condition of being human”. Goldstein‘s quirky sense of humor and surreal sensibility combine with a refined sense of design and color. While Goldstein no longer travels with “the circus”, she shows her work locally through the Bellefonte Art Museum, the Pennsylvania Guild of Craftsman Winter Craft Market in State College, and other regional exhibitions.